Even though I wasn’t exactly blown away by the performance of the RN4081 e-cigarettes that came with Apollo’s Standard Starter Kit, I remember their classy packaging left quite an impression on me. I was happy to see they kept the design bar high with the eGo kit as well. The elegantly-branded black-and-white flat box is a refreshing change from the standard rectangular ones used by the majority of e-cigarette companies and the way the batteries and accessories are neatly tucked inside, lets you know they really put some effort into the presentation. 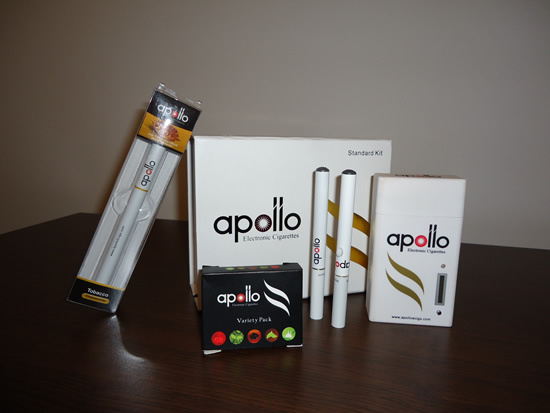 It’s what inside that counts, but we all know how important first impressions can be, and Apollo really is a notch above the competition when it comes to high quality packaging. The Superior eGo Kit comes with two 900 mAh eGo batteries (available in 8 colors), two CE4 clearomizers, a USB charger, wall adapter, a bottle of USA-made e-liquid and a lanyard pouch. It’s got everything you need to start vaping, but if you’re looking to experiment with different accessories, the popular 510 threading allows you to switch from the CE4 clearomizers to simple cartomizers or large tanks, both of which Apollo has plenty. On the Apollo website, the Superior eGo Kit is described as a great choice for intermediate vapers who used to be heavy smokers, and I’m inclined to agree, although I would also recommend them to new vapers looking for a more advanced setup. There’s no point going into details about the Superior eGo Kit’s batteries, because there isn’t much anyone can say about the remarkable eGo that hasn’t been said already. They make your electronic cigarette look nothing like the analogs you used to poison your lungs with, but if that’s not an issue, you will appreciate their long battery life and impressive vapor production. Unlike other eGo kits I have reviewed in the past, like the Revolver Talon or the Haolo Ultra Tank, which came with two different-size batteries, the Apollo Superior eGo Kit features two mid-size 900 mAh batteries which will keep you vaping for at least 9 hours, each. To be honest, I’m not a very heavy vaper, so with both batteries fully charged I could afford to leave my charger at home for at least two days. It all depends on how much you used them for, but if puffs are a better indicator of how much power these things can store, you should know the Apollo eGo batteries are good for about 1,000 puffs each. You won’t find too many veteran vapers without at least one eGo battery in their arsenal. Even after moving on to advanced mods, a lot of people rely on it for vaping in public. 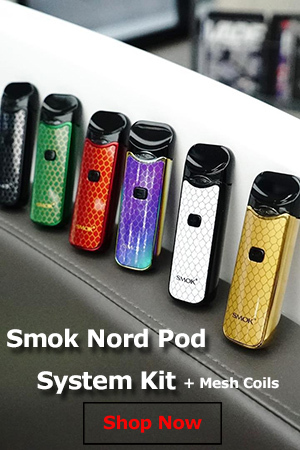 The eGo may be larger and bulkier than the cigalike KR808D, but considering it has several times its battery life and can be easily stored in your pocket, it’s the favorite choice of users who want top-notch performance without drawing too much attention. Like most eGo batteries nowadays, the ones that come with Apollo’s Superior eGo Kit are both manuals, requiring the user to press a button in order to activate them, and feature a useful “power on/off” system that works by pressing the button five times in rapid succession. This prevents the device from accidentally activating when stored in tight spaces like jeans pockets or small purses. 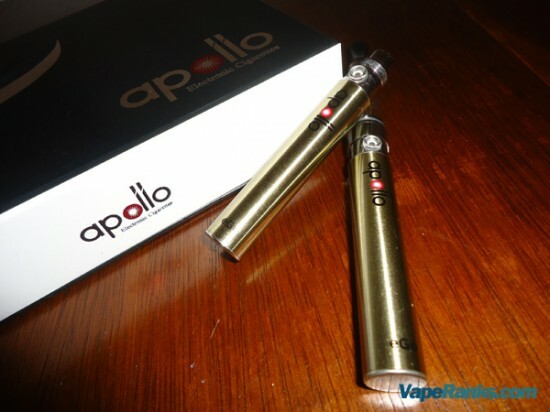 Overall, if you don’t mind its bulky look, you’ll find the Apollo eGo a very efficient and reliable battery. Say what you will about the eGo’s design, but there’s no denying its potential when it comes to vapor production, especially when coupled with CE4 clearomizers. The propylene glycol and vegetable glycerin mix e-liquid helps too, but I’ve tested Apollo’s e-cigarette with simple PG juice as well, and it performed admirably. I have a few cigalike favorites that produce satisfying amounts of vapor, but truth be told the Apollo eGo vaporizer is at least one class above. The 3.3V – 4.2V voltage interval of the batteries and the new clearomizer technology simply create a superior vaping device, one that produces thick plumes of vapor with every puff. The Apollo Superior eGo Kit comes with two empty CE4 clearomizers that you can fill with any kind of e-liquid you like. They produce crazy amounts of vapor, and have the heating coil placed at the top, below the plastic drip tip. 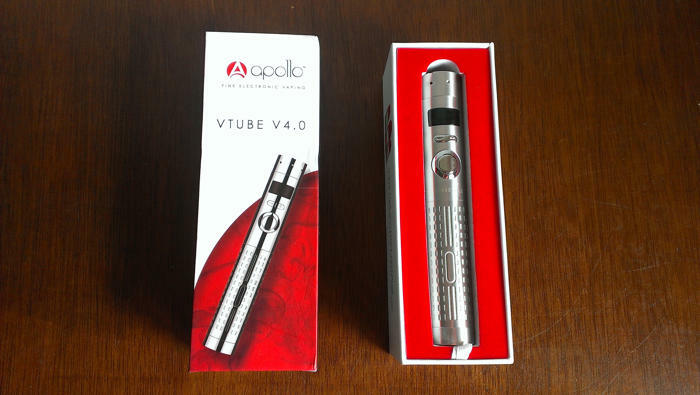 The short distance between the coil and your lips guarantees a hotter vapor and a stronger throat hit, but as I mentioned at the beginning of this review, Apollo offers a variety of clearomizers and tanks, so if you’re looking for smoother, cooler mouthful of vapor, you can order bottom-coil clearomizers like the Kanger EVOD, separately. Thanks to the 510 treading of the batteries, the combination possibilities are almost endless. The Apollo eGo electronic cigarettes perform beautifully, but I was just as impressed with other similar setups, like the Halo Ultra Tank, from The Smoker’s Angel. However, Apollo has a huge advantage over its competition – they make their own e-liquid, using only high-quality US-sourced ingredients (USP grade PG and VG, kosher and food-safe ingredients and 99% laboratory grade nicotine). Although you can find many US-based e-liquid vendors, most of the popular e-cigarette brands out there have yet to switch from the Chinese stuff. Apollo claims its e-liquid facility in Northern California is “ready for any FDA regulations and will be able to adhere to any new guidelines for e-liquid production”. As a vaper, I can say that sounds pretty reassuring. 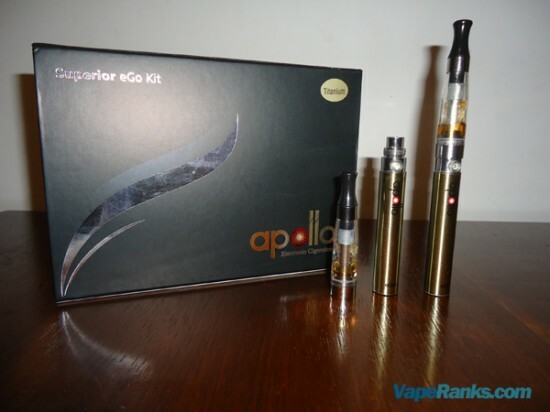 In terms of flavor, I had found Apollo to be pretty disappointing when I reviewed their Standard Kit, about a year ago. The five available flavors all had the same weird base taste, which I got used to after a while, but never grew to love. 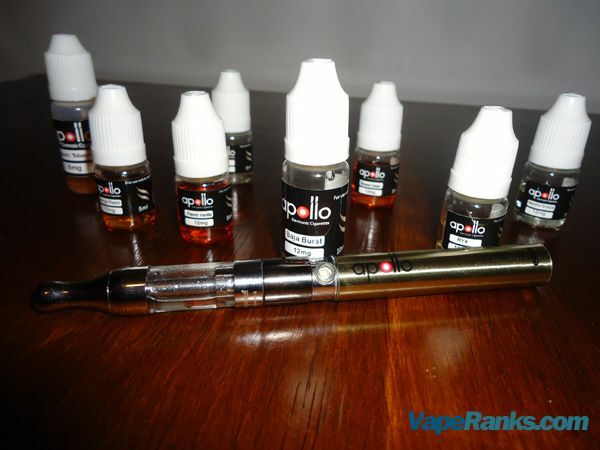 Things are very different this time around, as Apollo offers a total of 19 flavors for its refillable models. So I had the chance to sample deliciously-sounding juices like Baja Burst, Banana Cream or Mango Peach. I personally prefer fresh, fruity flavors to sweet ones, so I can recommend the tropical fruit combination that is Baja Burst as one of my all-time favorite juices. The Mango peach was also very flavorful, and the French Vanilla was one of the best vanilla e-liquids I have ever tried. The Classic Tobacco and RY4, on the other hand, were not as good as I had hoped. They were not necessarily bad, but rather just too sweet for my taste. Overall, I’d say Apollo’s mixologists are doing a great job, although the tobaccos could use some more work. The long-wick CE4 clearomizers work great, although you will probably notice they burn through juice like crazy. The vapor is phenomenal, the flavor is very pure, but you’ll want to stock up on e-liquid, because you’ll need a lot of it. I didn’t have any leakage problems throughout the testing period, and I found the refilling fairly easy – just unscre the plastic drip tip and add juice. 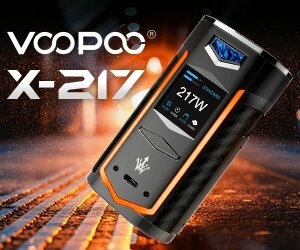 After my not-so-positive experience with the Apollo Standard Kit, I didn’t know what to think about this company, but their Superior eGo Kit and the abundance of accessories really made me see why so many vapers hold Apollo in such high regard. If you’re looking for something more than the beginner’s cigalike, this kit is the perfect choice. The e-cigarettes have great battery life, and the CE4 clearomizers help produce great vapor. If that’s not enough, the excellent US-made e-liquid is sure to seal the deal. in three months use my battery quit taking charge.For the cost I thought they would last longer than this.I like the product but it’s getting expensive. Johnny they offer a lifetime warranty on their products so call or email them and they will send you another battery. I had a big problem with some of my Apollo products, sent in an email voicing my problems & told them I was very, very upset. The next day they called me, did more to satisfy me than I would expect from any company. I can not say enough good things about their warranty & their customer service. I may have gotten my answer from a review above. I have this tingling sensation in my legs only, like a flutter feeling. I read to much vap, back off. I am vaping 12% nic and 50.50 PG/VG, from Mount Vapor. I have also used Virgin Vaps, and they to give me the leg problem. They may be called natural but the hit is hard and harsh. I will stay on this post if anyone would like to comment on my feelings. @ Sharevap : May I know what do u mean by Vaping give u the leg problem ? Bought the Endeavor starter kit a couple of weeks ago and what a waste of money. This is the worst product I ever bought. Ever! First the battery took forever to charge. Once charged I used the product and the battery died. I tried the second unit it too died after about two puffs. I left one charging ALL DAY and it never charged up. I tried the second unit it too would not charge. I was so mad I threw them out. Pure crap not worth the money or effort. Also, the starter kit came with the refill liquid. One of the bottles was broken so even though it was in bubble wrap it spilled everywhere. This nasty gooey mess. I am so sorry I did not NJOY like I was going to originally. Anyway, not a good experience for me. The product is cheap and seems very flimsy. I would not recommend this.